From LAX, we had a connecting flight in London that got us to Lisbon. 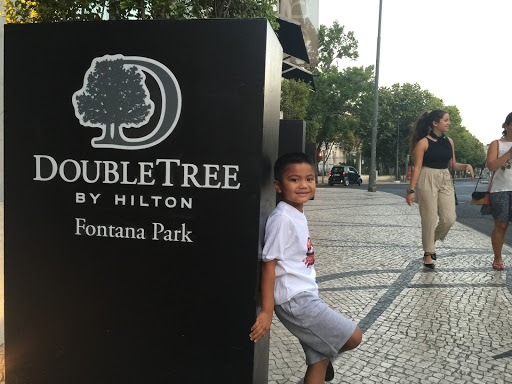 When I booked this trip, we only had about an hour to get from our LAX flight and connect to our Lisbon flight. I was quite concerned. I didn’t want to miss our connection. So when the captain said that our flight to Heathrow arrived 1 hour earlier, I was relieved. 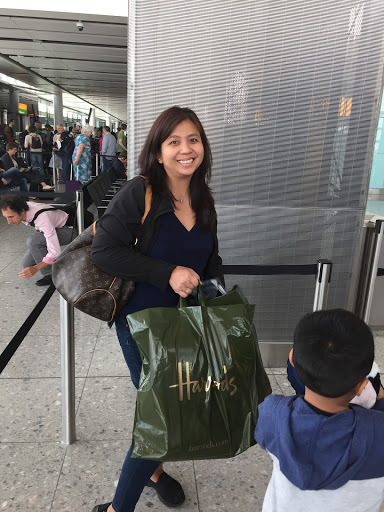 It gave us time to time hang out at one of the Premier Airport Lounges, and Nancy also had an opportunity to shop at Harrod’s inside our terminal. It was already past 2:30pm when we left Heathrow. 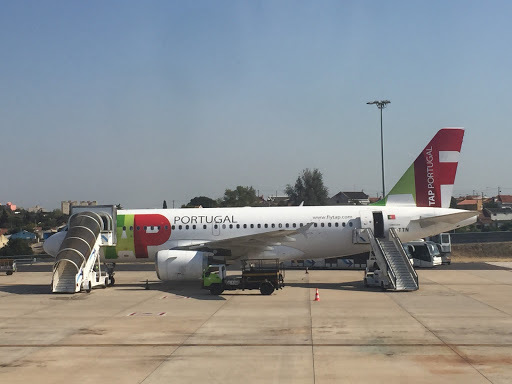 The TAP Portugal plane was your typical aircraft, kinda like a no-frills Southwest or Jet Blue with a 3 and 3 configuration. For this 2 hour flight to Lisbon, not only did they have a beverage service, but a turkey sandwich came along with it…nice! I didn’t do any blogging during the plane ride. I just reviewed my Lisbon transportation notes. So how the heck do I prepare for a trip like this? Well, I visit sites like Tripadvisor Forums quite a bit. Also, in the past, I used to send myself an email, using a destination subject line and I copy/paste every single helpful note that I come across. Lately, however, I started using Google Docs (Sheets and Docs). Everything I save is accessible via the Internet. 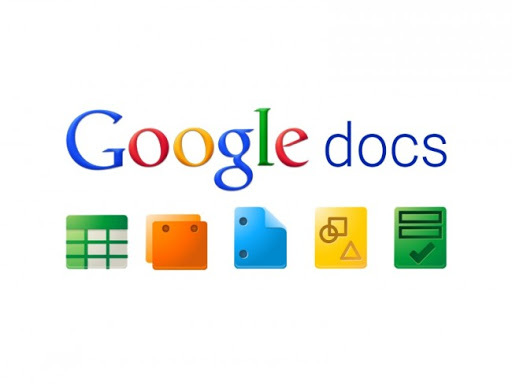 Google Docs is just like Microsoft Word. So when there is an interesting note or article, or website that I see, I copy/paste the info and read it later. Well, I copied and pasted quite a few things, but never really got to read all of them later. So I’m doing my own little catch-up now. Key thing for me was knowing how to get us from the airport to our hotel. Lisbon aka Lisboa, we made it!!! We finally landed around 5pm. We came out of the plane via those old skool stairs that they connect to the plane. A huge airport shuttle bus was waiting for us that took us to the N2 gate. This was where we entered through Customs and then we picked up our luggage. By this time, we had a few options to get to our hotel. The easiest would’ve been taxi and Uber, but the most economical way is to take the Metro. Since I’m all about public transportation whenever we’re in Europe, Metro was the choice. 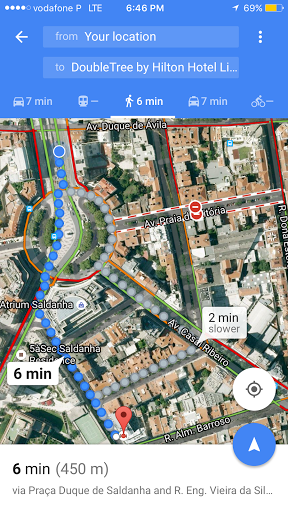 I also wanted to get a head start, a feel for what the Metro system was like in Lisbon. 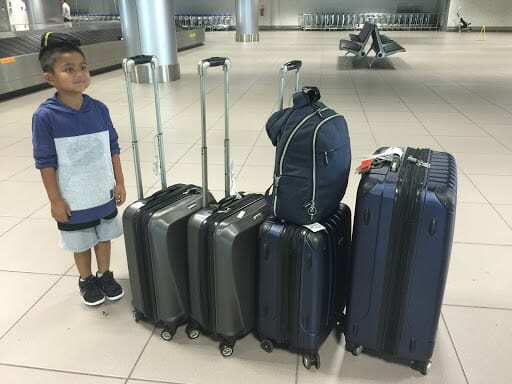 Once we gathered our luggage from baggage claim, we ended up with 3 carry ons, 1 regular sized luggage and 2 backpacks. Not bad. We followed the exit signs and then proceeded to the Metro station just right outside the airport. 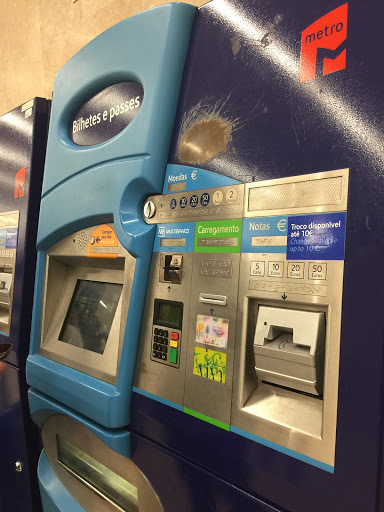 I approached one of the ticket machines, with options of paying cash or card. We had this trouble in Milan last year. We didn’t know the PIN to our credit card since we never take cash advance. So prior to our trip, we called our credit card companies and asked for a PIN. So we were ready, so we thought! I went through the whole ticket machine gyration. Everything was in Portuguese, but I kinda got the idea of what it was asking….once it got to the screen where I was about to pay with my card, I entered the PIN, and it didn’t work! Tried it 3 different times. Failed. Plan B was to pay in cash. Well as luck would have it, we still had Euro leftover from our last Europe trip so that came in handy. I purchased 4 Viva Viagem card, the card in itself is $0.50 Euro and I added $5 Euro to each card. Each trip was worth $1.40 Euro. I can just add more later if needed. 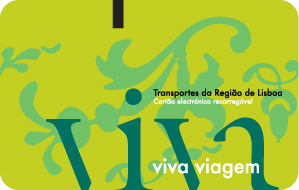 Why the Viva Viagem….we can use it not only in the Metros, but all buses, trams – it can get us to most of the tourist sites in the city, and a couple of popular sites outside. Did I fail to mention how hot it was when we arrived? It was 93 degrees! Man! I knew it was gonna be hot. For a vacation, I’d prefer the sun and heat than rain….so yes, I’ll take it! Once we got on the Metro, my notes mentioned that it was 10 stops from the Aeropuerto to Saldanha. The train was packed. It was rush hour after all. It was a first for Evan and Caitlin to ride an underground train. After 20 minutes, we arrived in Saldanha and took a couple of elevators (due to our luggage), and made it to the main avenue. Since I had a SIM card that’s internet-ready, I used my Google Maps app to check on our hotel, a 6-minute walk…not bad, but with our 4 luggage and the 90-degree weather, it felt like forever. But it’s what I expected. I got a taste of what the area was like. 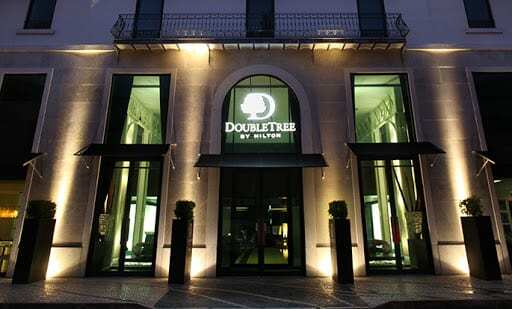 After a couple of quick turns, we turned to Rua Eng Vieira da Silva, at the end of the block was our home for the next 5 1/2 days…the Doubletree by Hilton Hotel Lisbon Fontana Park. That was a mouthful. 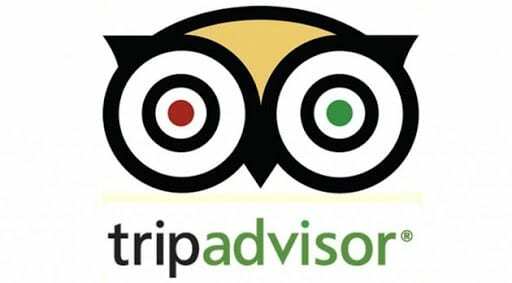 The average cost per night here was around $250 plus taxes/fees, and for 5 nights, I was able to book the 1st 4 nights using my points, and got the 5th night free. This would’ve easily set us back over $1300, but for me, it was free. We were given the Bed and Breakfast deal, and upgraded room with a city view.Thanks to my Citi Hilton Honors credit card and my American Express Hilton Honors credit card….it was the bonus points they gave me when I signed up, that’s what I used to pay for our stay. By the time we got all checked in, it was already past 7pm. We were pooped from all the travels, and seeing our beds and cold air-conditioned room got us all wanting to just kick back for a bit, just a bit. We called home, FaceTime’d with Madison and Hailey, freshened up, and decided to eat nearby. We walked for about 10-minutes and came across Cafe Sao Remo. There were lots of people eating so we decided to give it a try. 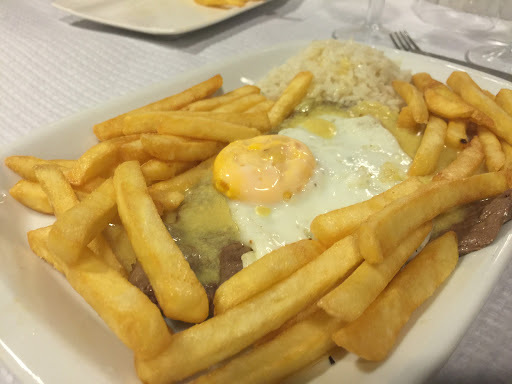 We ordered, and I forgot the Portuguese translation, I was so hungry and didn’t take notes…Codfish with oven-broiled prawns, beef steak with rice, eggs, fries, and something we thought was supposed to be fried chicken, but when it came out, it was this cheesy looking bread dish with eggs and hotdog! It was an LOL moment. Something definitely got lost in translation. Oh and of course, I had to get my first taste of Pastel de Nata. This place wasn’t really known for that, but for a first timer, it was pretty good, flaky, and not too sweet. We thought we were ordering Fried Chicken….so cheesy, it was good…. It’s now 2am on Friday, Aug 12. I really need to sleep now. I couldn’t sleep earlier. Hopefully, I’ll catch some zzzz’s now…it’s going to be a great Friday! I know it. 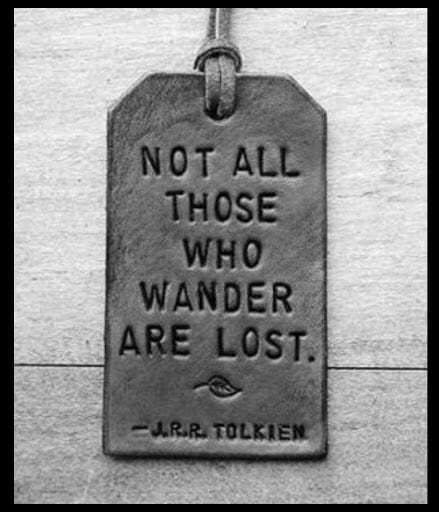 This is DaddyTravels….thanks for following our journey. 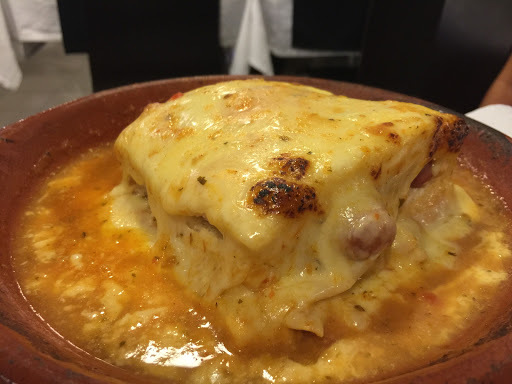 The cheesy bread dish is called Francesinha, it a very typical dish from northern Portugal. 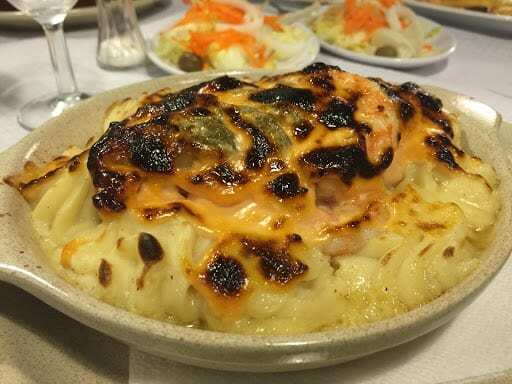 It is supposed to have various types of meat, from sausage to chorizo or pork steak 😉 and the sauce is the key ingredient. Hope it was good.